The bars for hanging. Neat and organized. 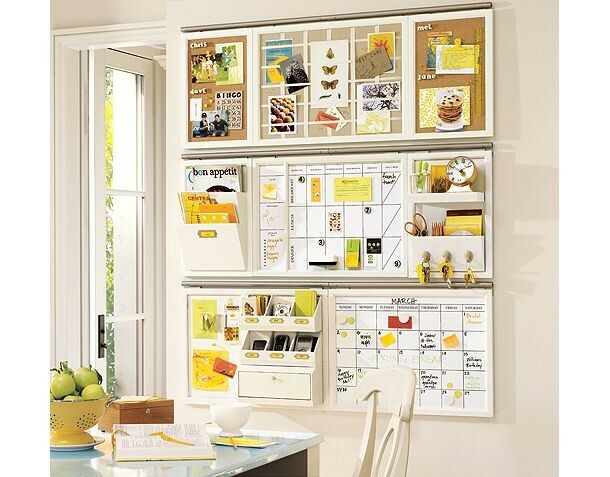 those organizational boards are fabulous! Love the cork boards and the hanging storage/magazine ting!